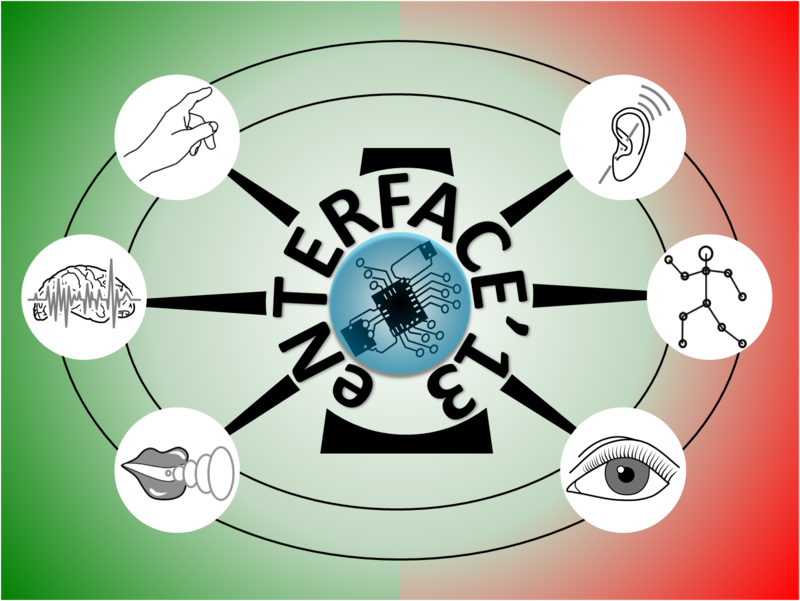 The workshop is held on an anual basis, in July-August, and organized around several research projects dealing with multimodal human-machine interfaces design. It is thus radically different from traditional scientific workshops, in which only specialists meet for a few days to discuss state-of-the art problems, but do not really work together. The eNTERFACE was initiated by the FP6 Network of Excellence SIMILAR. After the completion of SIMILAR, the workshop continued to attract wide interest under the aegis of the OpenInterface Foundation. It was organized by Faculté Polytechnique de Mons (Belgium) in 2005, University of Zagreb (Croatia) in 2006, Bogaziçi University (Turkey) in 2007, CNRS-LIMSI (France) in 2008, University of Genova (Italy) in 2009, University of Amsterdam (The Netherlands) in 2010, University of West Bohemia (Czech Republic) in 2011, and Metz Supélec (France) in 2012.
eNTERFACE'13 is organized by the New University of Lisbon (UNL), Faculty of Sciences and Technology (FCT), Department of Electrotechnical Engineering (DEE) in Lisbon, Portugal.